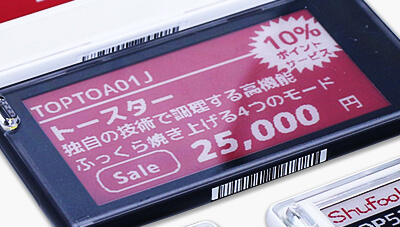 WHAT'S AN ELECTRONIC PAPER DISPLAY? 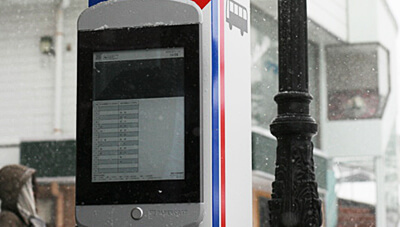 EPD offers the best of both worlds in a reflective display: the readability of paper and the ability to change contents like any electronic display. 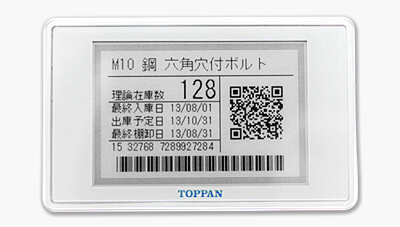 TOPPAN supplies EPD for Industrial applications. How EPDs show "Black & White" and "Black, White, & Red"
Batteryless devices, thin & light form factor -- EPD's benefits are enabling novel Industrial applications, which were previously impossible using existing display technologies. 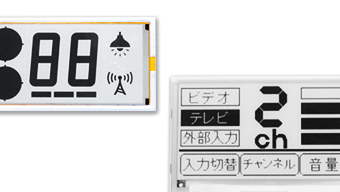 What is an EPD, Electronic Paper Display? We define EPD as a reflective display media that offers the best properties of Paper & Displays, or best of both worlds. Paper excels in legibility and its ability to display without electricity, while Displays have the ability to change its contents. 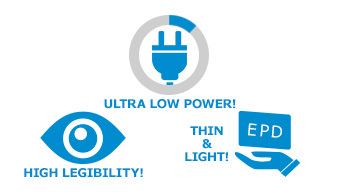 EPD feature 3 key benefits: Ultra-low power consumption, High legibility, and Thin & light form factor. 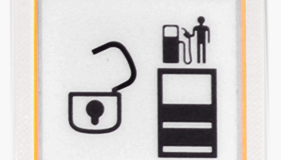 Well-known applications are eReaders and ESL, or Electronic Shelf Labels found in retail stores. 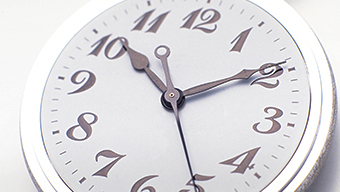 More information on the key benefits can be found here. 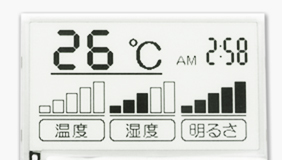 Why is the power consumption "ultra-low"? 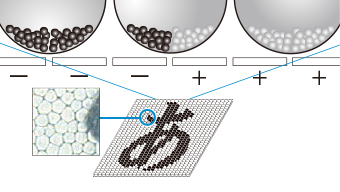 Once displayed, EPD can keep the image without power -- this feature is called "image stability". Thus, no power is needed to keep an image, resulting in much lower power consumption compared to display technologies that constantly use power to display any image, such as a typical LCD (Liquid Crystal Display). Names of products and services featured are trademarks or registered trademarks of the respective companies.